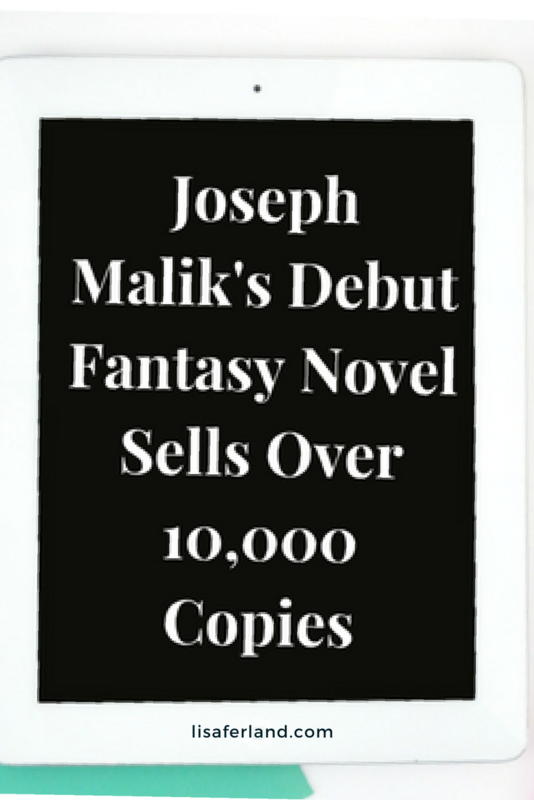 Not many indie authors sell 10,000 copies of their debut novel, but that’s precisely what Joseph Malik did with his first book, Dragon’s Trail. After a ho-hum book launch and average sales in the first 90 days of publication, Joe revamped his approach. I asked him a few questions about how he went from Average Joe to Bestselling Author and winner of numerous prizes. 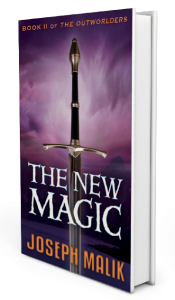 We also chat about his upcoming release in the Outworlders series, The New Magic, available for pre-order until September 18. What do you think were the best strategies you employed to help make your book launch a success? My first book launch failed miserably. It didn’t really take off until about six months later, and for the first 90 days, it lost money. I paid for a couple of cheap promotions; a Twitter promo off of Fiverr and another one I can’t remember for like $25 or so. I launched on KindleUnlimited with a blog tour and sent copies to friends and family. That was about it. I’ll let you know how the launch for Book II goes in a few weeks. What has been most effective in terms of engaging with your audience? Newsletter offers? Facebook? Something else? Face to face contact. Panels and demonstrations at fantasy conventions, lectures at schools and colleges, author events. I write fantasy technothrillers—fantasy novels whose plots turn on detailed technical points; think The Hunt for Red October but knights in armor instead of nuclear submarines—and I did most of my world building research in person: swordsmanship, horsemanship, blacksmithing, building a functional language, and so on. This type of detail resonates with a specific type of reader—the fantasy reader who has little patience for inaccuracies in world building, and being an author with “street cred”—whether I’m demonstrating swordsmanship, speaking Elvish from my conlang, or talking about some other aspect of world building that I have personal experience with—generates a lot of buzz. What advice would you give to someone who is considering indie publishing but isn’t confident? Write more. Don’t launch the first book you’ve ever written. Writing a book is a huge achievement, and congratulations are in order, but just because you wrote a book doesn’t mean it’s ready for anyone to read it. Write more until you feel ready. Launching a book is always scary, but you’ll know when you’re ready. It took me several books before I knew I was sitting on a good one. And still, even that was scary. Your book covers are awesome and are perfect for your genre. Can you recommend/share the name of your cover designer? Thank you. My cover designer is Lynn Stevenson. 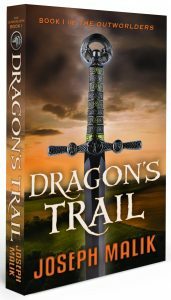 The initial cover concept for Dragon’s Trail came from West Coast Design. Lynn created the cover for The New Magic to make it match the brand that West Coast Design had laid out. #Nerdalert question—you have both paperback and hardcover versions available of your book—who is your printer for each? I use Ingram Spark for both. What’s been the most surprising thing about indie publishing that you’ve experienced? The overwhelmingly positive response from traditionally published authors. There’s tremendous interest in indie publishing from that side of the room. I had no idea that so many authors have a book or series that they love but that their agents can’t sell. I think that we’re going to see a massive paradigm shift here, shortly. Did you use a company to create your book trailer or did you create it yourself? We created the trailers ourselves. My wife is a professional opera singer, and she wrote the music for the trailer for Book II using a libretto I wrote in the Elvish conlang from the series. You can see the trailer for Dragon’s Trail, our first trailer attempt here. You can watch the trailer for The New Magic here. 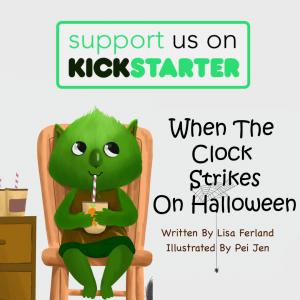 My wife wrote an article for her blog from her perspective on all this; she was the marketing brains behind really making the book take off. You can read it here. In addition to fiction, Joseph Malik writes and lectures on advanced intelligence theory and asymmetric warfare for the U.S. military. He has worked as a stuntman, a high-rise window washer, a computational linguist, a touring rock musician, and a soldier in the United States Special Operations Command. 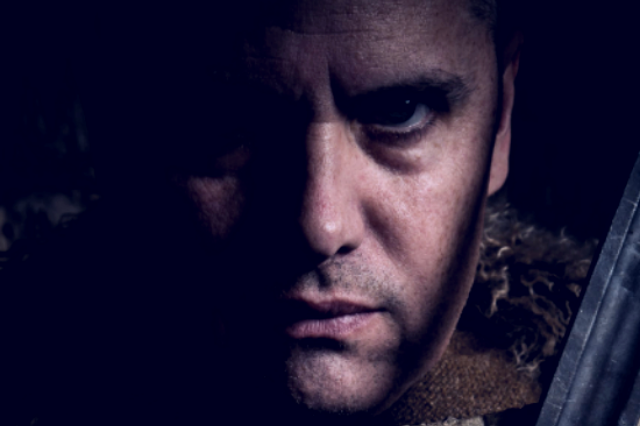 He has been a longtime panelist and demonstrator at fantasy conventions, speaking as an expert in swordsmanship, hand to hand combat, and military tactics and strategy. He has also lectured on fantasy writing and independent publishing at schools and colleges across the Northwest. His first novel, Dragon’s Trail, became a Kindle Top 100 Bestseller in four countries in 2017, reaching #1 in Epic Fantasy in the U.S., Australia, and Canada and #1 in Sword and Sorcery in the UK, making him eligible for the 2019 John W. Campbell Award for Best New Writer in Science Fiction and Fantasy—one of very few independent authors to ever qualify with a debut novel. 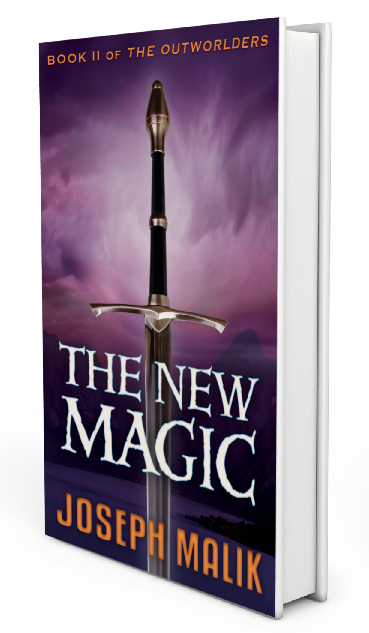 His second novel, The New Magic, is scheduled for release on September 18, 2018. A veteran of Operation Enduring Freedom, Joseph Malik lives in the Pacific Northwest along with his wife and their two dogs. He serves in the U.S. Army Reserve and is a member of SFWA.